James practises in matters regarding children. He has a particular interest in private law matters concerning parental alienation. James also represents parents, grandparents and Guardians in public law proceedings. James is regularly instructed in complex matters and represents parents, grandparents and children. He has represented clients where there have been allegations of parental alienation, domestic abuse and sexual abuse. James also advises and represents those who seek the Court to make orders regarding specific issues in relation to their children’s welfare, such as disputes over medical intervention and schooling. James has experience of representing parents, grandparents and children at all levels of complexity. 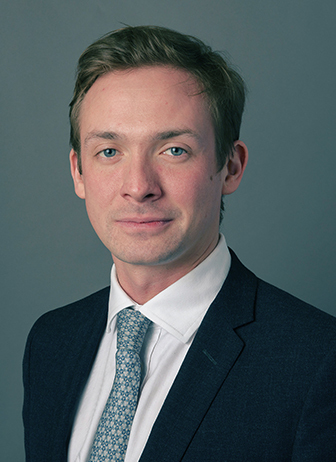 James has a particular interest in representing vulnerable parents in public law proceedings. James is regularly instructed in lengthy hearings regarding allegations of sexual abuse, non-accidental injury, domestic abuse, emotional abuse and neglect. James has experience of representing clients in matters concerning health, personal welfare and the deprivation of liberty. He welcomes instruction from all parties to proceedings. James is regularly instructed in matters concerning removing children from the jurisdiction on a temporary or permanent basis.